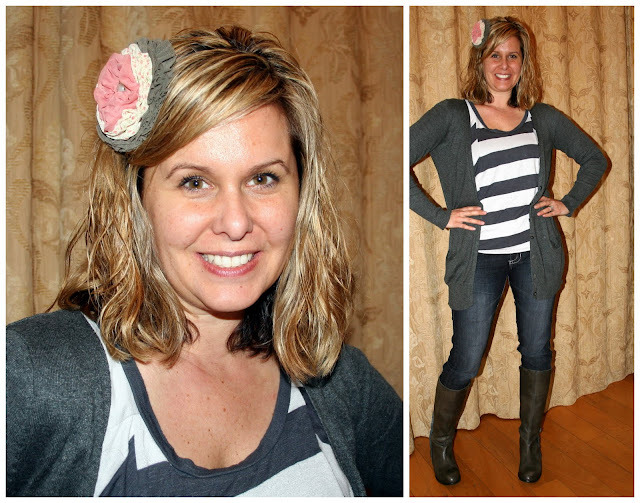 April Kennedy...My Life + My Style: What I Wore, Headband Swap + Blog Sale Info! What I Wore, Headband Swap + Blog Sale Info! Linking up with Lindsey again this week to get us girls out of sweats + PJ's and into presentable outfits each day! I participated in a Headband Swap hosted by the cutie Danielle at Take Heart. My swap partner was the darling Liz from Applejane. and this is the beautiful headband she sent me! Thanks, Liz! I love my headband!! Cute pig tails with curls! Duplicate outfit from weeks past. I'm hosting a blog sale on a brand new blog. One that I will be able to keep going as I continually clean out my closets. 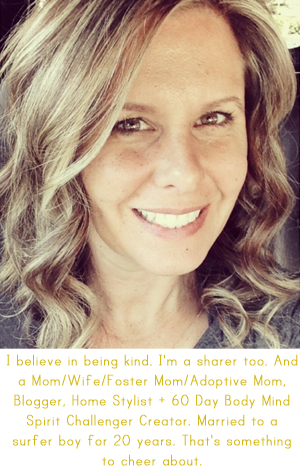 Yup....I sell my gently used items on my blog and it's a win-win for everyone. The blog sale starts tomorrow. All the info can be found here! It's done in auction/bidding style and so much fun. I've got cowboy boots, cardigans, coach purses plus lots more. And,some of Kaia's and Blake's clothes are also up for grabs. All items come from my smoke-free, pet-hair free home! You can also find the link to my Blog Sale up at the top of my blog on my menu bar! You look super cute! I'm totally loving this style of jeans (or jeggings) tucked in the boots. And I love your Target ruffled heels! So cute! And for any readers that want a chance to win April's grey mum earrings, hop on over to my blog to enter yesterdays giveaway to win them! all the outfits are ADORABLE! I love the skirt, especially! b)i have those heels from target. so cute. Love all of the grey combos!! I think it is soo sweet that your daughter is following in your fashion footsteps!! i love the blog sale idea!! and, of course, lovin' the outfits! i think it's great that you always include a picture of your daughter...so sweet. I've had my eye on that yellow anthro skirt. It looks great on you! love love love the anthro yellow skirt with gray! gray and yellow is honestly the best thing right now. Your style is so great April!!! Love it and can't wait for the bloggy sale tomorrow! You just can't have too many boots and cardigans. You are adorable! That yellow anthro skirt is adorable and so flattering! You are so cute! And so is Kaia! I love your new hairstyle and your hair accessories1!! I wish you lived closer...can't wait for tomorrow!!! Fun to see your hair curly/wavy! I have those gray ruffle heels from Target last year and get constant complements. Good purchase for sure. Love your new Anthro skirt. SO happy you played along with the headband swap! could you be any cuter?! FAB-U-LOUS. I mean it. I love everything! Love the yellow skirt and your swapped headband. also love that you posted your daughter...might have to get mine in on the act! Thanks for visiting me today! 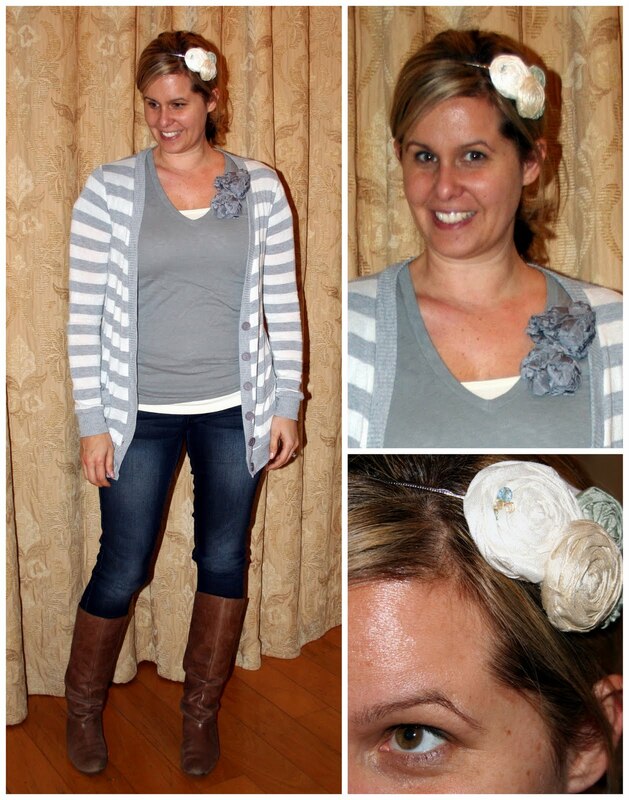 LOVE that last gray cardi and I MUST find a cute headband...pronto!! So cute! All these looks are so cute. I adore the headbands. I am so glad to have found your blog. Fun! Such great looks every day. And I love love love that Anthro skirt. Great headbands and your daughter's skirt is SO cute!